On May 31st Dr Daniel Duda, the TED Education Director, gave a series of presentations at Crieff Church entitled ‘Ordination of Women ~ Keeping The Church United’. Session 1 – Understanding the arguments of those opposed to the ordination of women. Session 2 – Understanding the arguments of those in agreement with the ordination of women. Session 3 – The way forward. 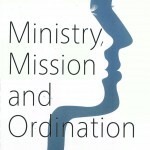 The TED book on ordination: “Ministry, Mission and Ordination” by Tom de Bruin is available from Stanborough Press (and should be available soon from Amazon on Kindle). Tom’s book is an abbreviated and popularized version of the full TED Study Report.